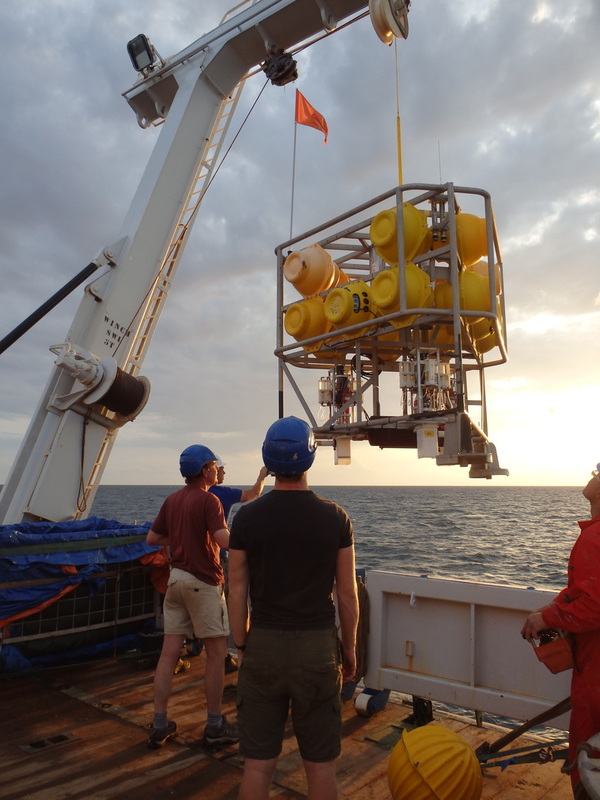 After leaving the coastal zone and returning to deeper waters, we went into a sampling frenzy: we raced back and forth with the ship between up to 4 stations a day to retrieve and deploy the landers while also continuing to sample and analyse the seawater and muddy sediments. The traditional cruise picture with all participants and crew then followed and we celebrated the completion of sampling with a barbecue on Tuesday September 15. 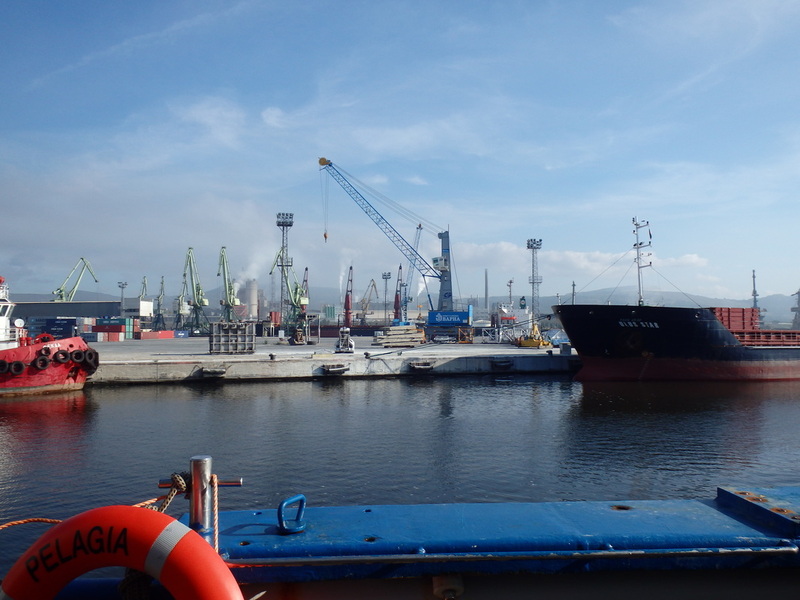 We entered Varna harbour on the morning of Wednesday September 16 and, after unloading in the evening, now have left the ship. 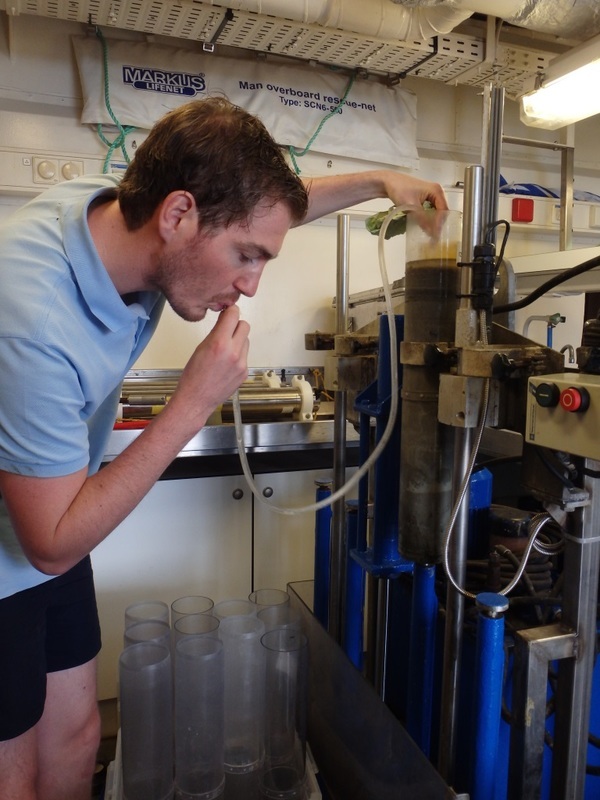 It was a successful research cruise, with excellent team work, great samples and already many very interesting results! 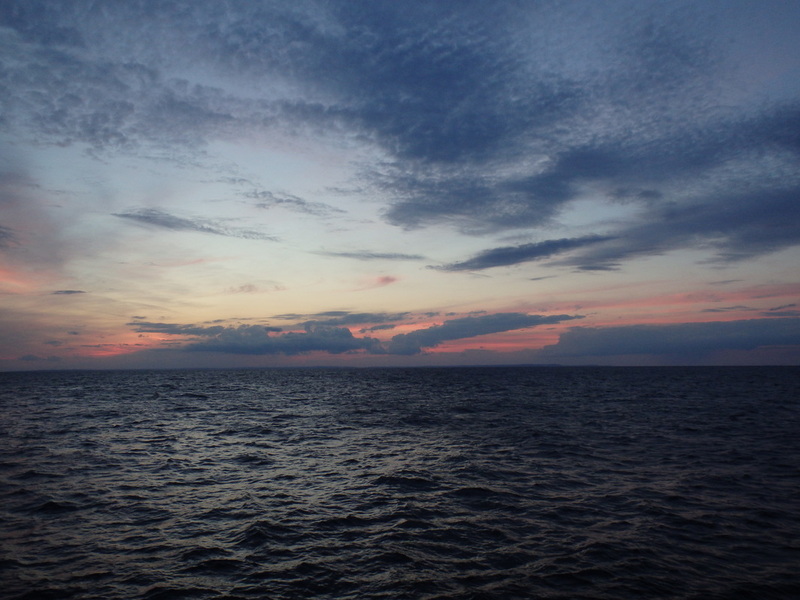 We’re now sampling in the coastal zone of the Black Sea and are getting closer and closer to land. 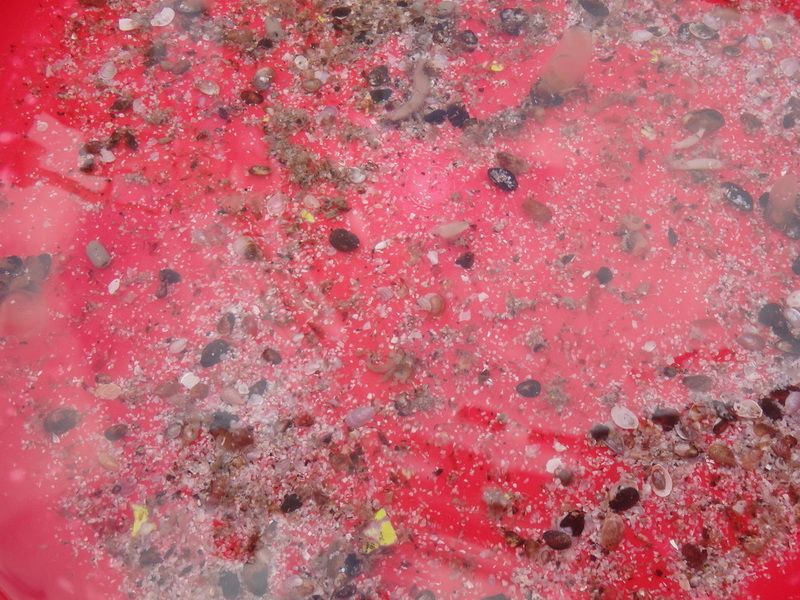 And there is life here in the surface sediment! Adrian is our expert: he knows exactly what species of worms and shells are present at each location. This is also the region where Rob is deploying a lander daily with help from Ruud and Wytze. A lander is a large frame with equipment that can be left on the seafloor and that can perform measurements independently there. We’ve even left it on the seafloor for a whole night. Now for a change from looking at the mud, time to explore the cleanest places on board the Pelagia. 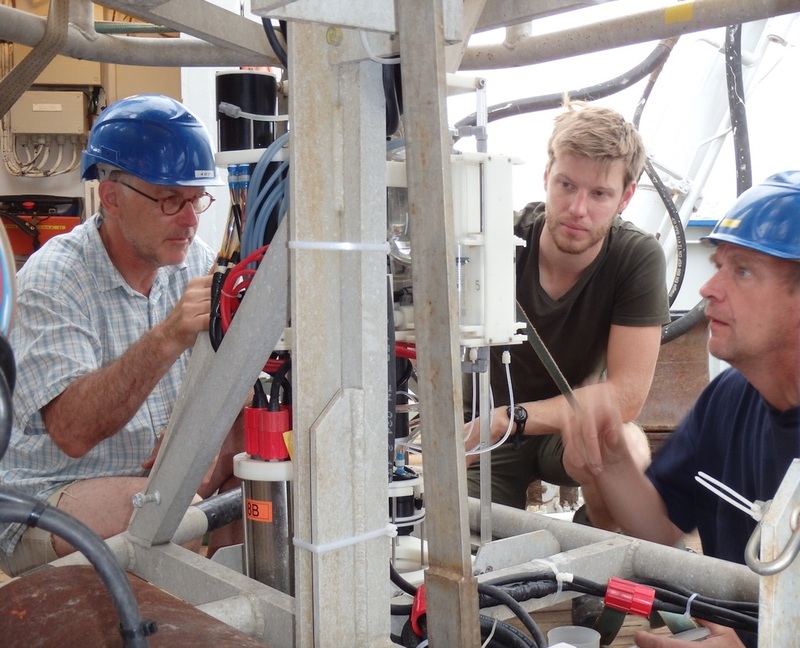 The cruise is focusing on measuring iron within the water column and sediments. 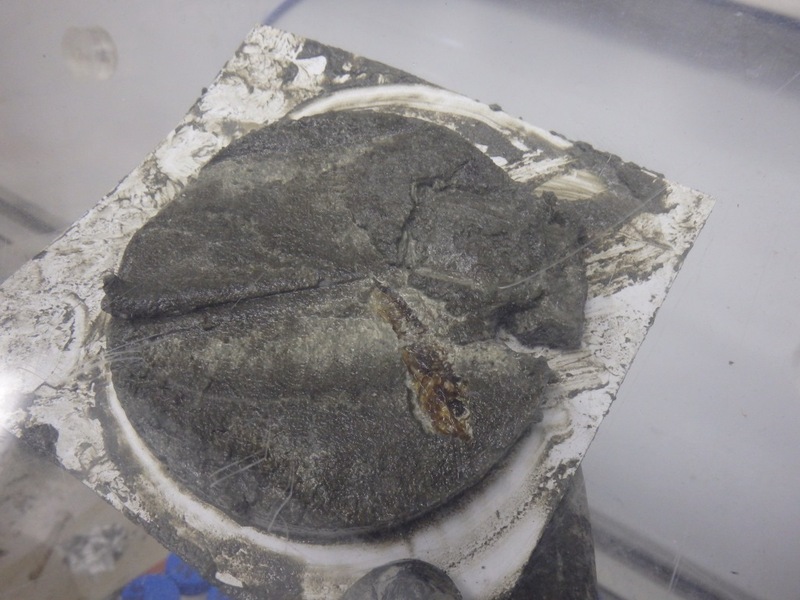 Iron concentration within sediments is very high (mille molar-to-1%). However, within the water column the range of concentration of iron is pico-to-nano molar concentration – similar to finding a needle in 1 billion pieces of hay. Because of the large differences between these two environments, we have to be extra careful when working with the water on the ship. One of the ways that we use to make clean measurements is by wearing special clothing to avoid contact with iron-plentiful materials. Our special clothes look at lot like we are working in a bakery including the hair nets. We are very fashionable! On this cruise, we are using an ultra clean CTD rosette that was specially made by NIOZ technicians for low concentration sampling. An ultra clean setup is essential when measuring concentrations that are very low (which is the case for most metals in open ocean seawater). Within a traditional CTD rosette, copper wires along with some other metal parts will cause contamination of the waters that are being collected. For copper and those other metals, we cannot get accurate measurements of the concentration because the seawater is in contact with the metal. Here is a traditional CTD, notice how dirty it looks compared to the other photo below of the ultra clean CTD. 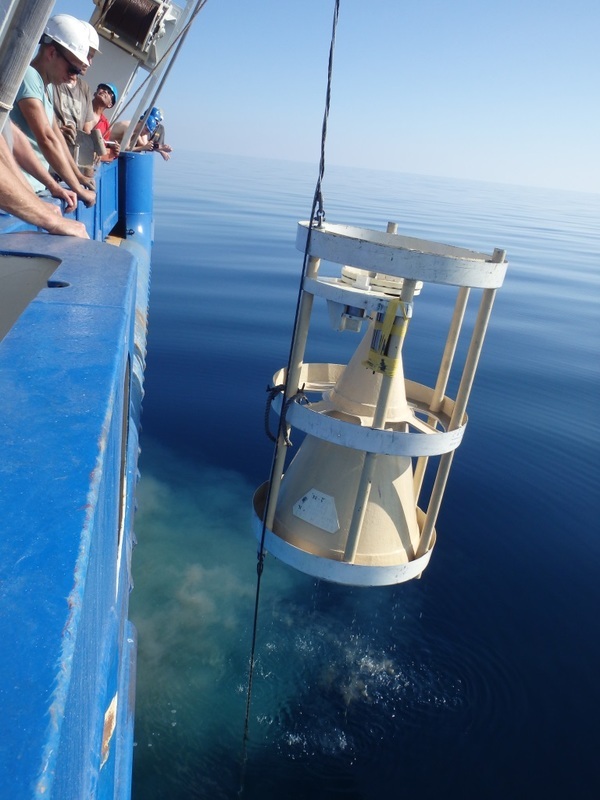 A CTD measures Conductivity (salinity), Temperature, and Depth. 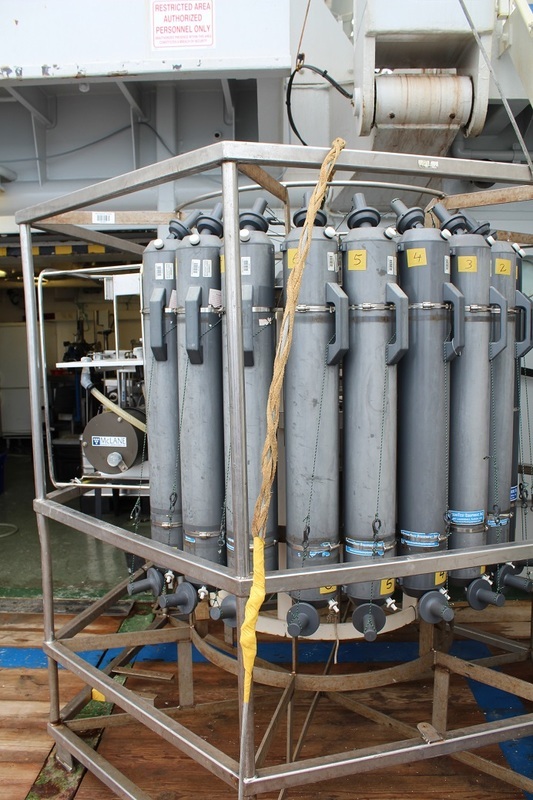 Surrounding the sensors of the CTD is 24 large bottles. These bottles are used to collect water from specific depths and are made of Teflon (for the ultra clean). When it is deployed, it is hoisted with a Kevlar (plastic like substance; it is also used for bulletproof vests) cable and is monitored as it descends towards the bottom of the sea. 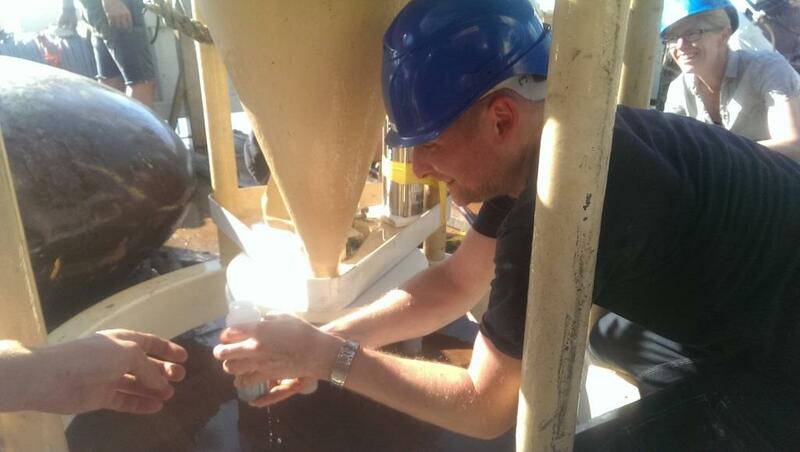 When it nears the bottom (about 10m above), we start to collect samples. Based on the features we are trying to capture, we will fill up the bottles with certain depths of water. 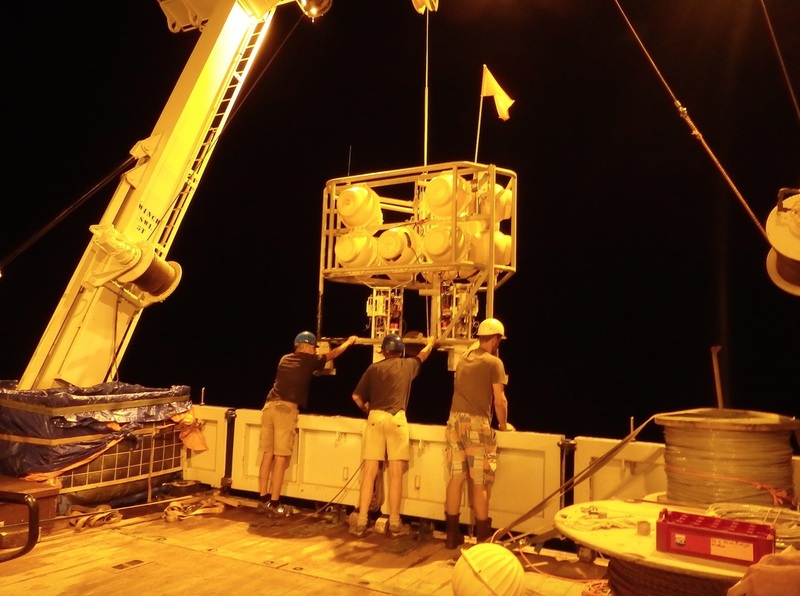 After a few hours (for a deep station) the CTD rosette arrives back on board the crew help move this very heavy instrument into a container where we will sample it. 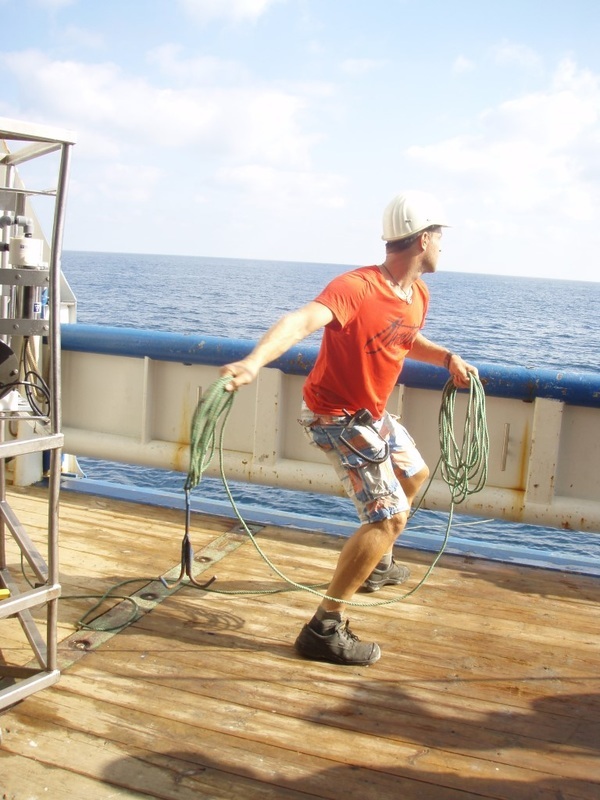 The crew is very helpful in moving the CTD around on deck and also in getting it in and out of the water. Each bottle can hold 24L of water, thus it is a heavy instrument that needs many people to move it around. Inside the container, we first enter into the little hallway that connects the clean area holding the CTD to the deck of the ship. In this hallway, we put on our suits, hats, and a pair of clean rubber shoes- it gets very wet inside. We then go into the clean area and wash down the floors, bench, and walls to remove any dirt from the space. We are now ready to sample! 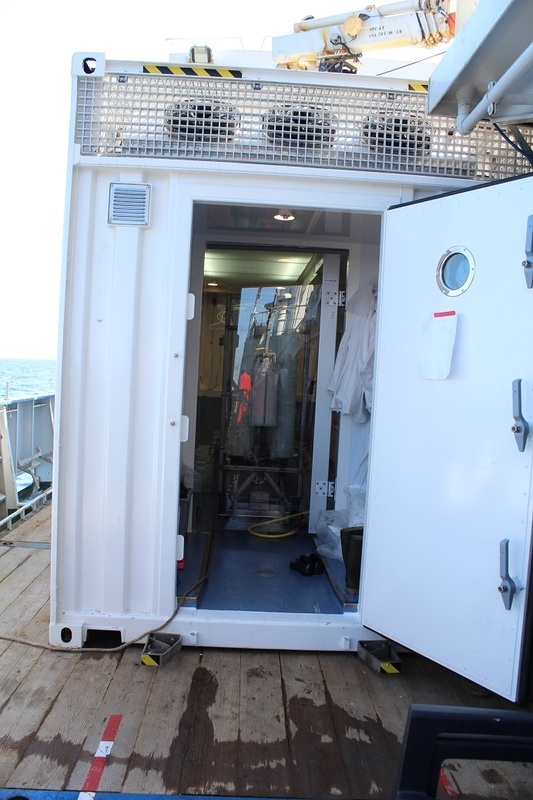 Here is a view of the container that we keep the CTD in. There is a plexiglass door that helps to keep the inner area protected from contamination. Time for another blog from the Black Sea. 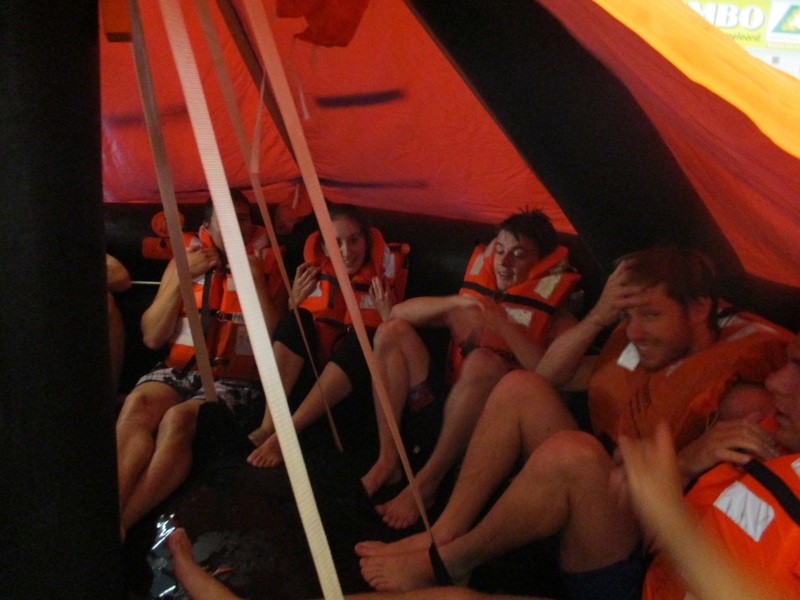 Today was an exciting day for everyone on board, even for the experienced crew. The plan for today was to dredge for sediment traps from the bottom of the Black Sea, not an easy task if you take into account that the sea is more than 2000 deep at the point where the sediment traps were supposed to lie. Normally these sediment traps are hanging at different depths in the water column to collect sediments throughout the year. During a cruise last year, today’s target traps, where supposed to be collected. Due to some misfortune the sediment traps, including valuable measuring devices, sank to the bottom of the deepest part of the Black Sea. After calculating where the sediment traps should have landed it was time to start dredging. Hours and hours of slowly sailing followed… and then, in the late afternoon, news was spreading over the ship: “there is something on the hook.” Everybody rushed to the back of the ship to see what the catch would be. First, disappointment, a piece of wood and some plastic. 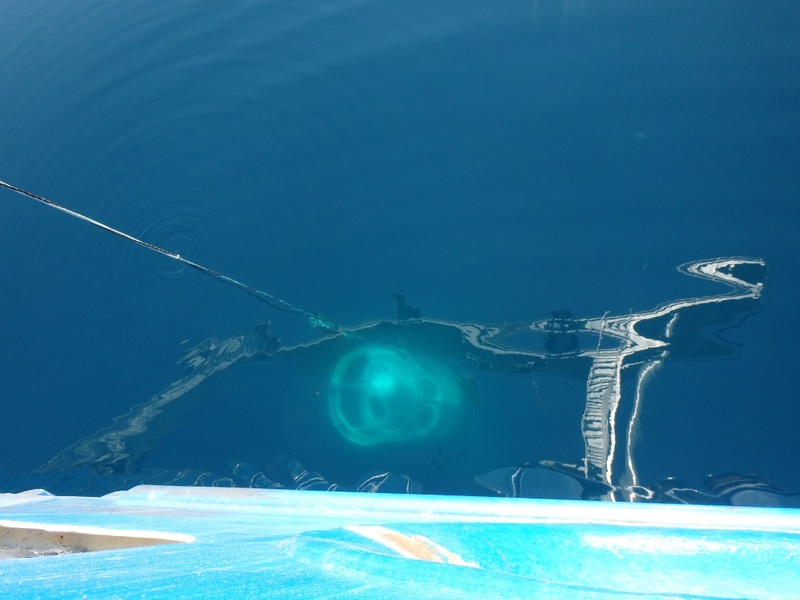 But then the magic moment followed when the first sediment trap was approaching the surface after its journey from the endless depth of the Black Sea. The final result of the dredging was complete recovery of all sediment traps (three) and accompanying measuring devices. Not bad if you realize that the total value of all this equipment is the equivalent of a very nice Italian sports car. And if the recovery of all this equipment was not enough, it also delivered some very nice samples. Happy crew, happy technicians and happy scientists! Photo 1: Lasso throwing like true cowboys…what will the catch be? Photo 2: A larger hook for a larger catch. Photo 3: Waiting to see what the catch will be. Photo 5: Not a daily catch, what a nice result! Photo 7: The cherry on the cake, a beautiful sundowner. Hi everyone! 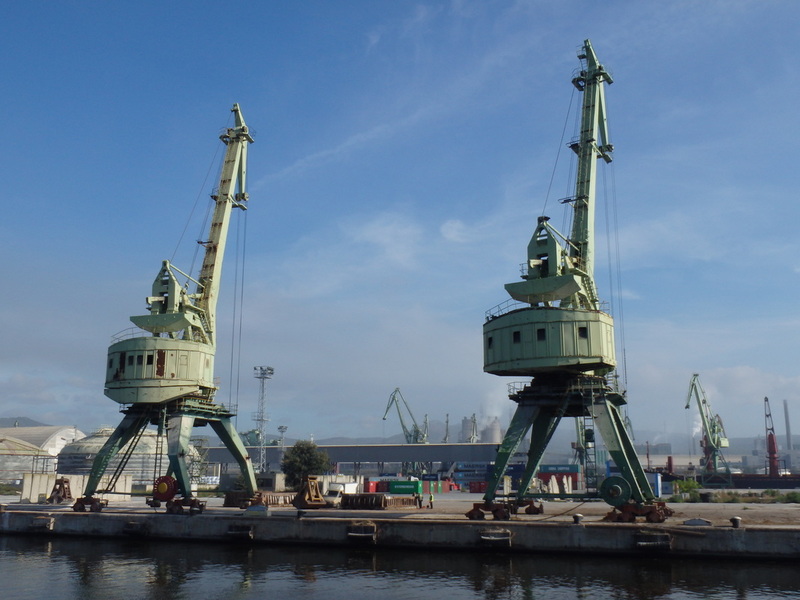 Another blog from the Black Sea. Today it was time to get down to business. In the morning, the water was investigated using specialized metal-free equipment. We want to look at ultra-low concentrations of metals in the water, so any contamination must be avoided. 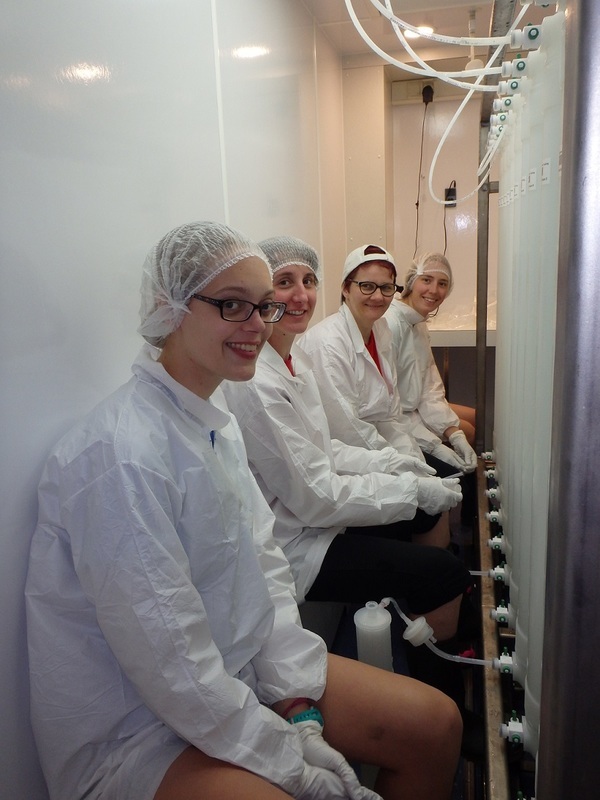 This means a lot of work in the clean lab for our water column team, which oddly enough consists of only women (Silke, Amy, Nikki and Marie). 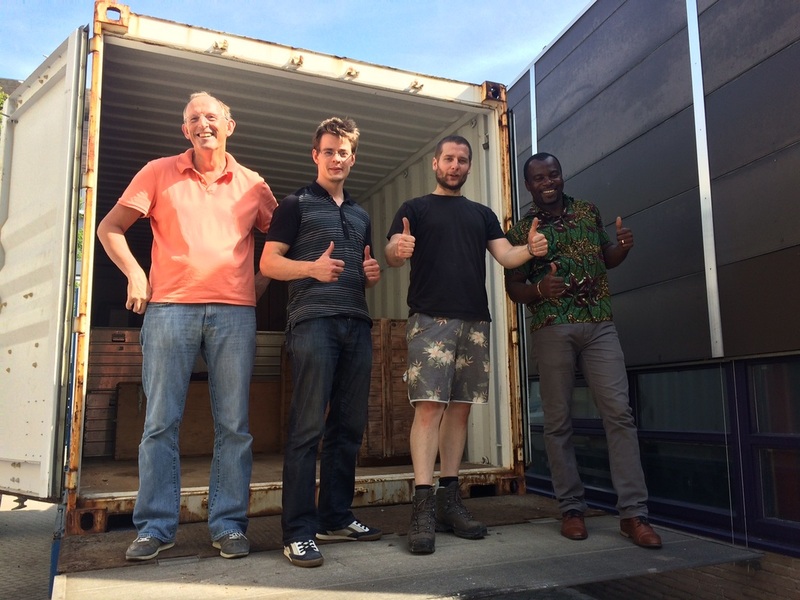 The sediment team, specialized in smearing mud on everyone and everything, is made up of men (Niels, Wytze, Martijn and Peter). How stereotypical. 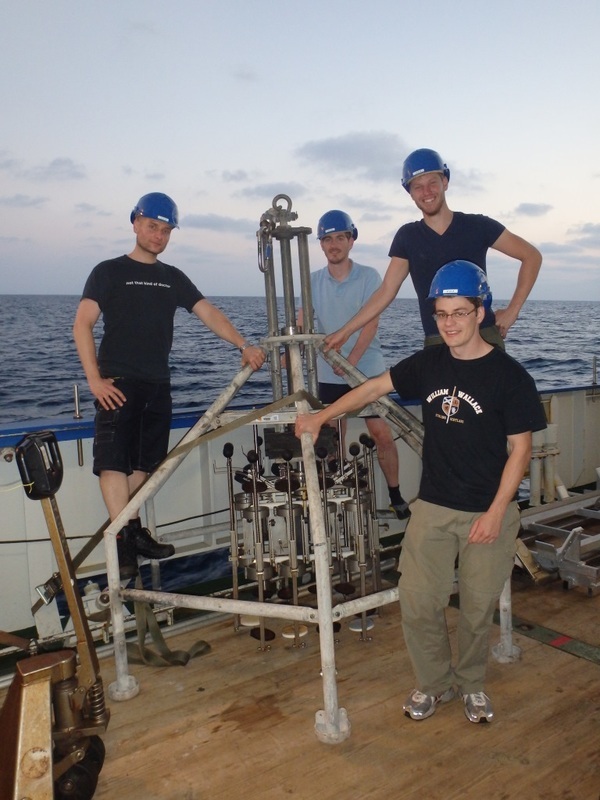 Foto 1: The Mud Masters, from left to right and top to bottom: Peter, Niels, Wytze and Martijn posing with the device used to get seafloor samples. Our first location provided us with more than enough work for both teams that worked from the morning to the wee hours of the night. 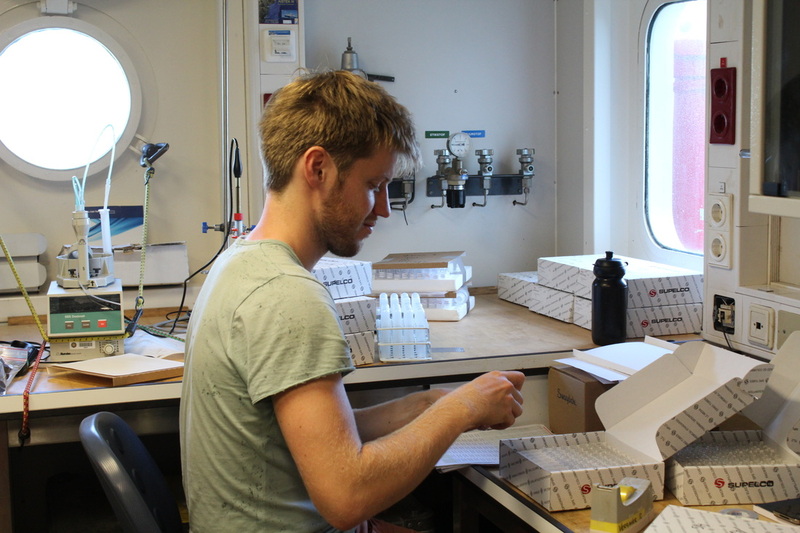 The result: many samples that will tell us what is floating around in the waters of the Black Sea, and what has sunk all the way down to the seafloor, at 1500 m for this location. Foto 2: To get to the mud, we need to get rid of the salty, smelly water. At any cost. Star of the day was the beautifully preserved small fish that was found in ~3000-year-old sediment. The lack of oxygen and abundance of toxic sulfide in the deep Black Sea severely slows down the degradation of materials such as animal remains (our fish) and wood (the famous preserved Byzantine ships in the Black Sea). Foto 3: Our fish, buried for thousands of years, and now on clear display for excited geochemists. 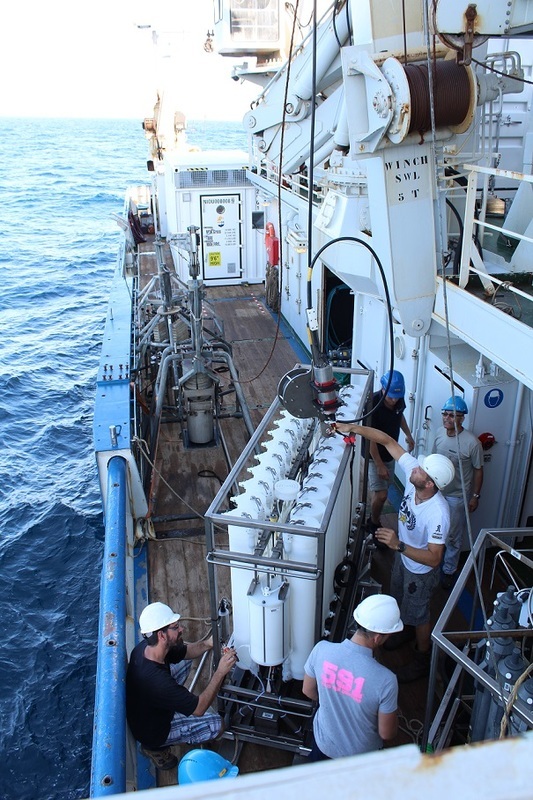 Tomorrow, we arrive at our deepest location, where the water column team and the awesome Pelagia crew will have to use all the scientific tricks up their sleeve to explore 2 kilometers of water. 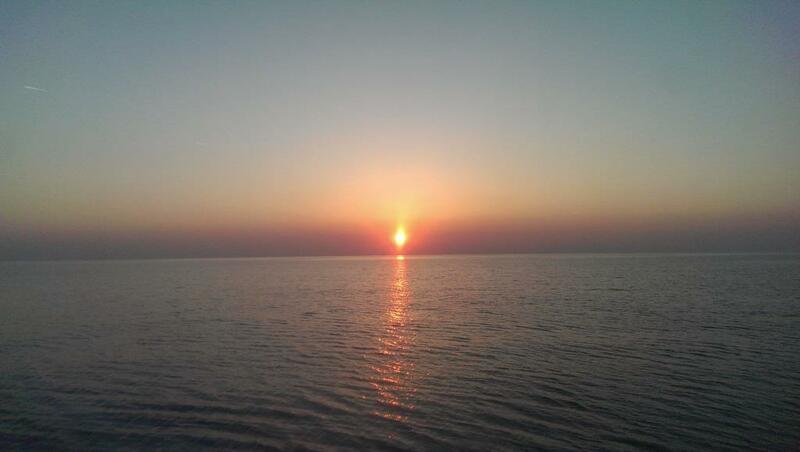 Welcome aboard to our first blog from the R/V Pelagia in the Black Sea. Yesterday we joined this Dutch research vessel in Istanbul. We were stuck at the customs for a while before we were able to board the ship. Luckily we brought our “sea survival kit” (aka playing cards) with us and passed the time with few rounds of hearts in no men’s land. 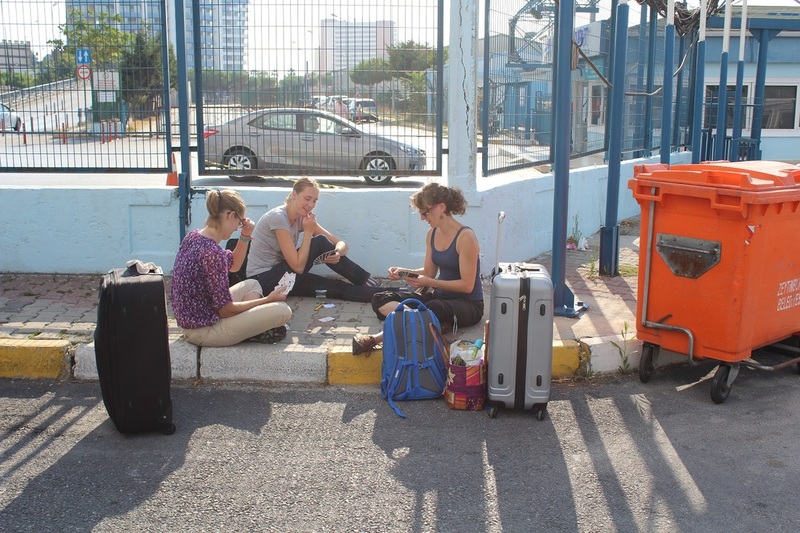 The preparation for the Black Sea Cruise involved quite a lot of packing. A grand total of 36 crates were packed by us and transported by truck to the RV Pelagia (which was docked in Texel during that time) 3 weeks prior to the start of the cruise. 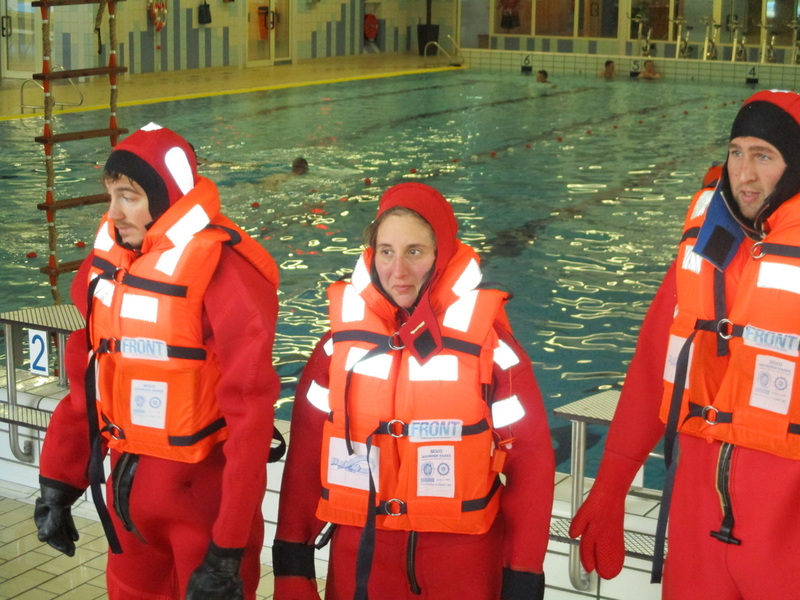 A few days prior to the Black Sea Cruise, we went to Emmeloord in the Netherlands for a one day Survival at Sea Safety Training. What should you do when the boat starts to sink? How can you survive in the salty waters of the sea with not a droplet to drink? As you can see the intensive training session mainly involved hugging and synchronised swimming. Synchronised swimming in the sea will not help you to get an olympic medal, but it might draw attention from rescue helicopters. 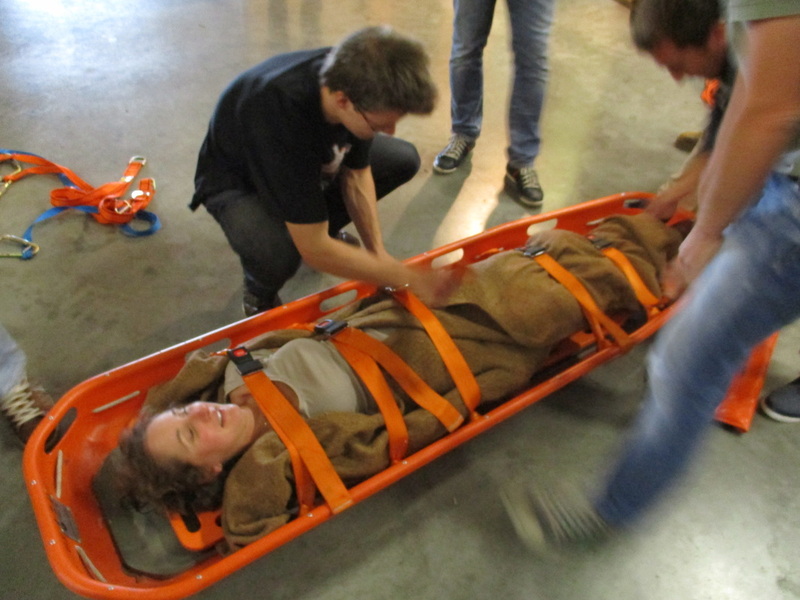 Another important aspect of the safety training was the costume party. 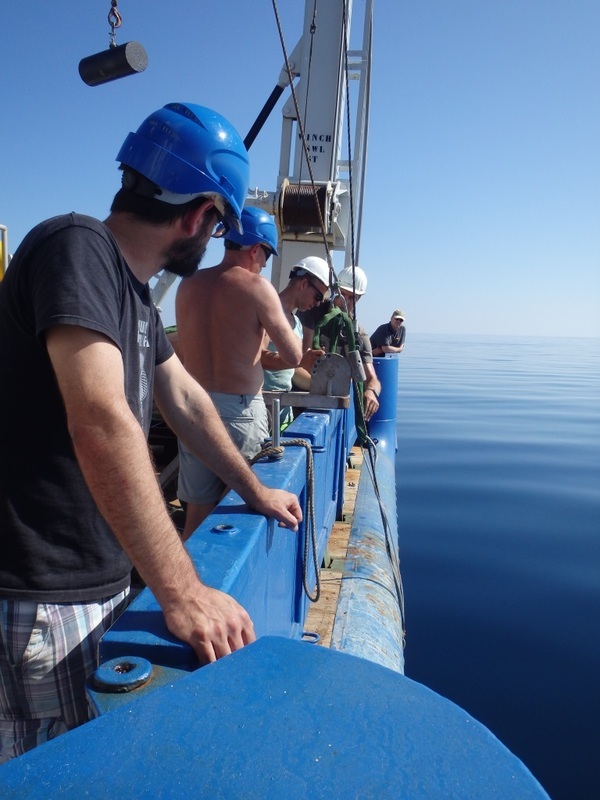 The Black Sea Cruise 2015 is a great opportunity for us to get a better understanding of iron dynamics in the world’s largest anoxic basin. The term anoxia implies a total lack of oxygen. Marine life heavily depends on iron availability. Iron is a redox-sensitive element and its availability and behaviour in seawater responds rapidly to changes in oxygen concentrations. Currently, we cannot predict whether the long term effects of seawater deoxygenation will increase or reduce the availability of iron for marine life. 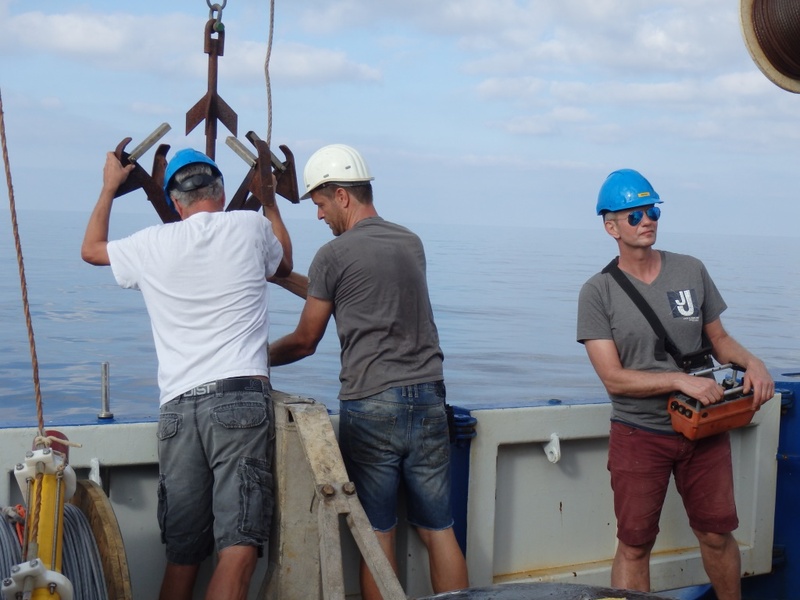 The Black Sea Cruise 2015 will improve our understanding of the transport and transformations of iron in the marine environment and its release from continental shelves. Such knowledge will aid us in making future projections for iron availability for marine life and the links with climate change. 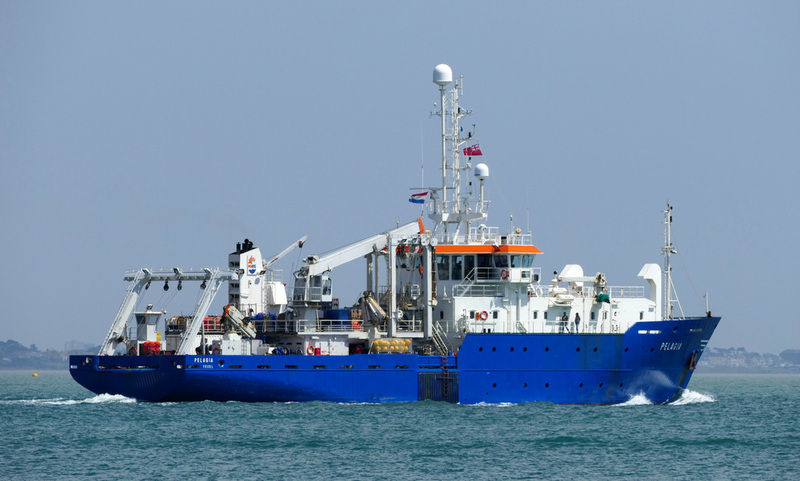 The Research Vessel (RV) Pelagia is the flagship on which the Black Sea Cruise will take place. This ship is 66 metres in length and it has explored many waters of the world. 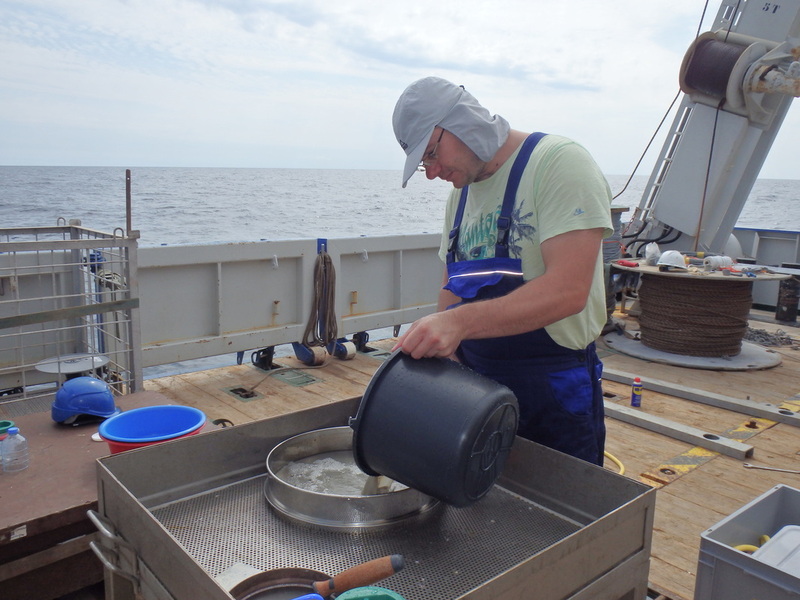 The RV Pelagia is a paradise for us marine biogeochemists since it allows us to take samples, which can be subsequently analysed in the on-board laboratories. This gives us a better insight in the biogeochemical processes that occur in the Black Sea. 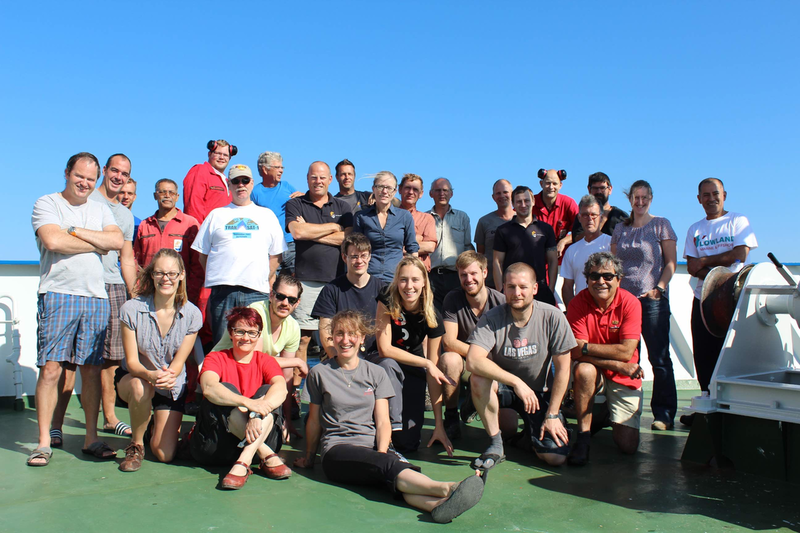 This blog will inform you about our epic adventure on the Black Sea and the environmental relevance of our research. Frequent updates, will give you insight in the daily life of marine scientists. We will keep you well informed!